I found myself in Montreal with a few hours to myself and decided to meet my friend Marilyn for lunch. Fortunately, she was available and she invited me over to her house. She served me pickle and peanut butter sandwiches. 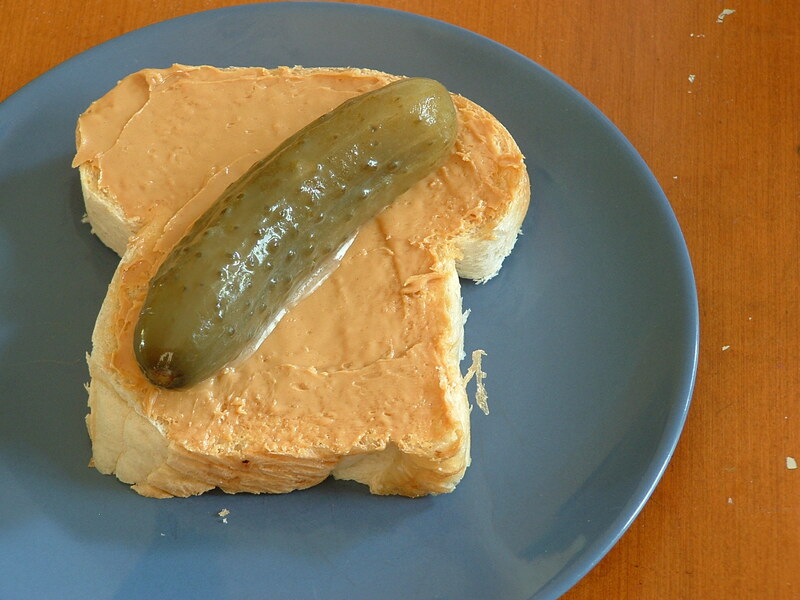 Pickles and Peanut Butter… Who knew? And it struck me that it was a neat metaphor for my friendship with Marilyn. We met in CEGEP (grade 12 & 13 for those of you that aren’t from Quebec) about thirty years ago. And we really only started hanging out at the end of our last year. Our interests are different and our temperments are different. But somehow we’re still friends after all this time. We do go long periods of time without communication, but somehow when we do get together or speak on the phone, it feels like very little time has passed and it is easy to catch up. My son and her daughter are the same age we were when we first met. It just struck me that I don’t know if we would be friends if we met today. Everyone is so busy and who has time to invest in friendship with someone if they seem so different from you. Most of us seek out the “Peanut Butter and Jam” relationships or the “Peanut Butter and Jelly” relationships. But who has time to cultivate or is willing to take a chance on a “Pickles and Peanut Butter” friendship? It made me happy and sad at the same time. I’m glad that I have quite a few friends who I think are different enough that I wonder if we would be friends if we met later in life. It seems childhood and adolescence were much easier times to forge friendships that weren’t only based on shared interests. But it makes me a little sad to think that there may be people that I’m not cultivating friendships with because I assume we won’t get along. It’s always a good thing to remind yourself to be open to possibility. Pickles and Peanut Butter, anyone? ← If “He” is Having Trouble Getting Funding, What Chance Do I Have…? Ha! Don’t let the picture fool you, Carlos. You slice the pickle before putting it on the sandwich. For best results, put peanut butter on both pieces of bread. Enjoy!